Aviation Updates Philippines - Philippine Airlines' first Boeing 777-300ER flight to San Francisco landed on May 9, 2014 following their plan to deploy all Boeing 777s to the United States. Last May 3, Philippine Airlines launched its Boeing 777 inaugural flight to Los Angeles utilizing RP-C7775. In operating these Boeing 777s in the United States, other flights previously operated by Boeing 777-300ER will be operated by Airbus A321, Airbus A330 or Airbus A340. Philippine Airlines operates 7 weekly flights to San Francisco. The airline will deploy the 777s to the 2 daily flights, operating in Tuesdays and Fridays. The remaining 5 frequencies will still be operated by the Boeing 747-400 until the end of May. In a report of Airline News Philippines, Ramon Ang revealed that the four Boeing 747-400 jets were already sold. 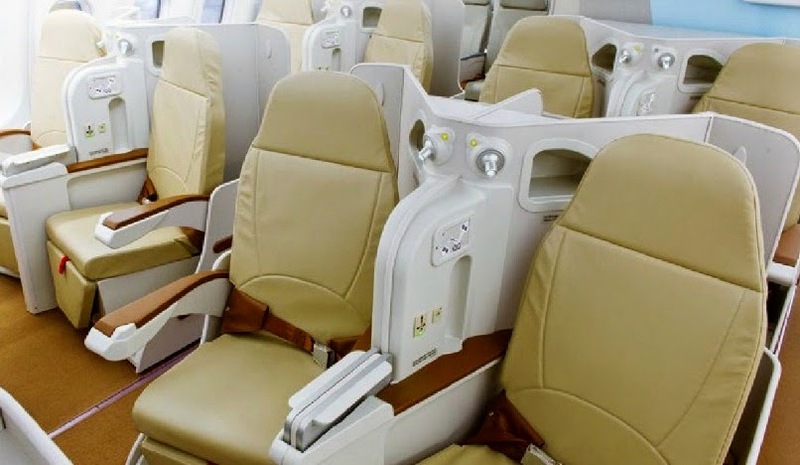 Philippine Airlines also unveiled their new business class seats on their newly delivered Airbus A330-343X HGW. It is equipped with new lie-flat seats with a 58-inch pitch. The Equinox 3D business seat includes in-seat power, USB port and reading light. The in-flight entertainment system is offered via IPad Minis with WiFi provided by OnAir. The plane's economy and premium economy cabins are both in a 2-4-2 layout. In April 2014, Philippine Airlines retired their eight Airbus A330-301 which is now being replaced with the more fuel efficient Airbus A330-343X.